An engraving (cut) in the contact lens determines if the lens is inside-out. The engraving can be in the form of numbers or letters. It makes the handling of contact lenses easy and prevents the application of a contact lens the wrong way. For example, when you place the contact lens on your finger and look from the side, you should see numbers “1–2–3” in the correct way. If the lens is inverted, you will see the numbers “1–2–3” the wrong way around. 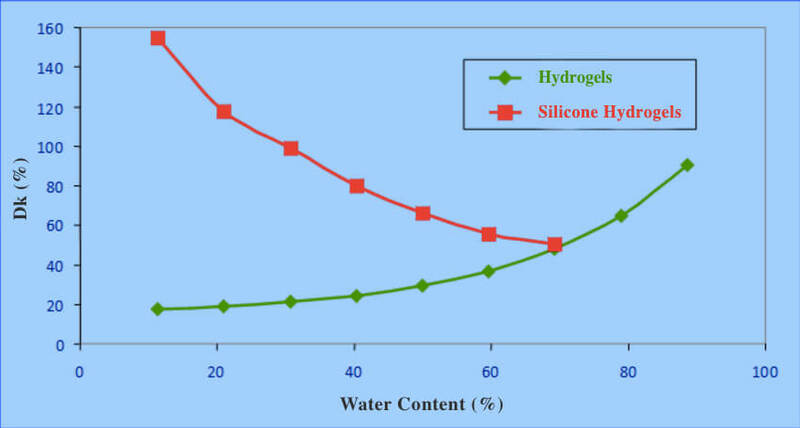 More modern silicone hydrogel, which has a higher oxygen permeability and is a combination of swelling silicone hydrogels, that provide the properties of both soft and hard lenses. The result of which is form-stable contacts. The development of existing contact lens' materials is an ongoing process. In addition to production practicality, it is necessary to maintain the quality of the lens' mechanical and chemical properties, biological inertness, tolerance, resistance against storage of sediment, easy maintenance and transparency (material should not be influenced by pH of tears, light, hydration and dehydration between each blink, etc.). The basic material for the production of soft contact lenses is HEMA. This methacrylate allows increasing the water content and therefore contact lenses permeability to oxygen from its original value of 40% to about 80%. Currently, there is a new generation of soft contact lenses which uses silicone hydrogel. This material is used to produce contact lenses for continuous wear ,because of the high oxygen permeability. The disadvantage of soft contact lenses is the predisposition to produce contact lens deposits. Modern soft contact lenses were invented by a group of Czech chemists led by the scientist Otto Wichterle. Silicone Hydrogel is the latest material for the production of contact lenses, which gives much more oxygen permeability compared to regular hydrogel. It's a combination of hydrogel and silicone, fluorosilicone, which manages to increase the oxygen permeability, even with a low volume of water. This compound combines the qualities of soft and hard contact lenses. The disadvantage of these lenses is the lower level of wettability and tendency to contact lens deposits. The water content of a lens is expressed by the percentage of water volume in a particular material. The optimal amount is about 60%. For hydrogel soft lenses, transparency of media is dependent on the water content. Material ageing decreases the water content and affects contact lens permeability to light (in which case the lens has a yellow or grey tint). Such a lens is unusable. If a soft contact lens dries out, it is damaged and needs to be replaced. Low Dk/t lenses are mainly older designs or high-powered lenses. High oxygen permeability is achieved by silicone hydrogel contact lenses. The Dk value determines the properties of contact lens materials. 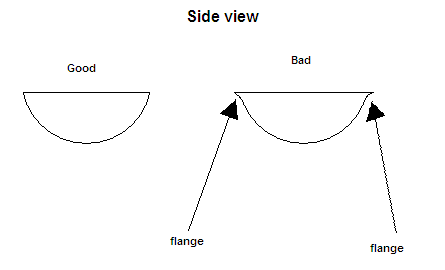 A contactologist has to take the thickness of the lens into consideration, as well as the permeability. Together they form the Dk/t value, called transmissibility, which characterises the lens. Read next: Are contact lenses with higher water content better? Many contact lenses usually have a light blue or green tint added, in order to help you see it better when the lens is in the case, and during insertion/removal, or even if you drop it (if you accidentally drop it on the floor, throw it away). Visibility tints are hardly detectable and do not affect your eye colour. The diameter (DIA) is one of the most important parameters in the selection of a suitable type of contact lens, for a specific user. Read next: How to read your contact lens prescription. Related to the term – contact lens transmissibility (Dk/t) The unit is defined in Barrer/cm. This value is usually listed by manufacturers only for contact lenses with –3.00 D and the “t” value is defined as the center thickness, that is the thinnest part of the lens, which can be slightly misleading for contactologists.